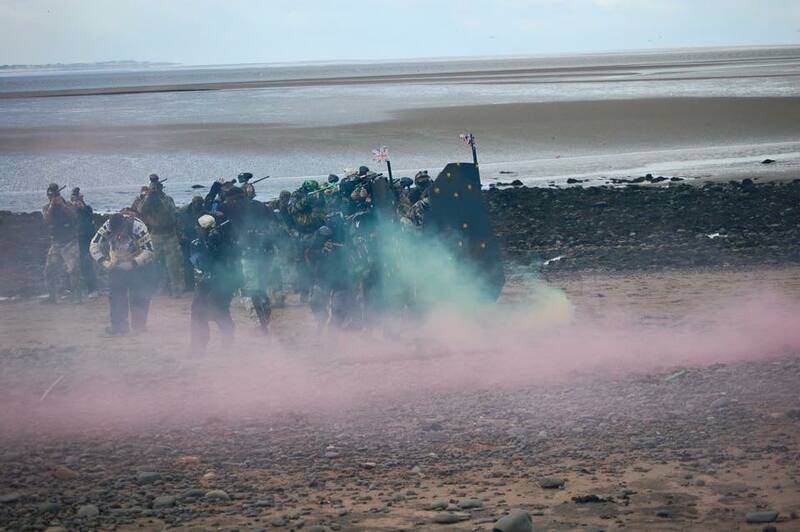 Over the weekend of the 6th and 7th of June, the Mayhem Militia went to Operation Overlord at the excellent Prozone paintball site in Annan, Scotland. 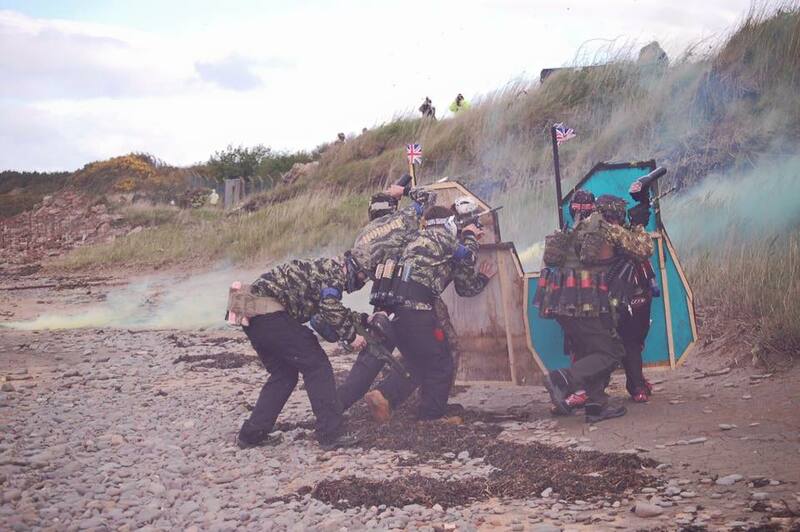 Operation Overlord is a new scenario game at the same site as England Vs Scotland, and sees two teams The British which had two generals, myself (David Hodder) and Stuart Mayo from NPF playing against the Germans who were headed up by Thomas Banks from BZ Paintball and Willie McPhelim from the Scottish Warriors paintball team. Camping was also available on the Friday and Sunday evenings, so we decided to drive up super early on the Friday morning and we arrived on site around 12-1pm. We had 5 players from the Militia to make the trip, and we had the van on the way up so we took all the essentials and then some including a BBQ, fire pit and gazeebo! 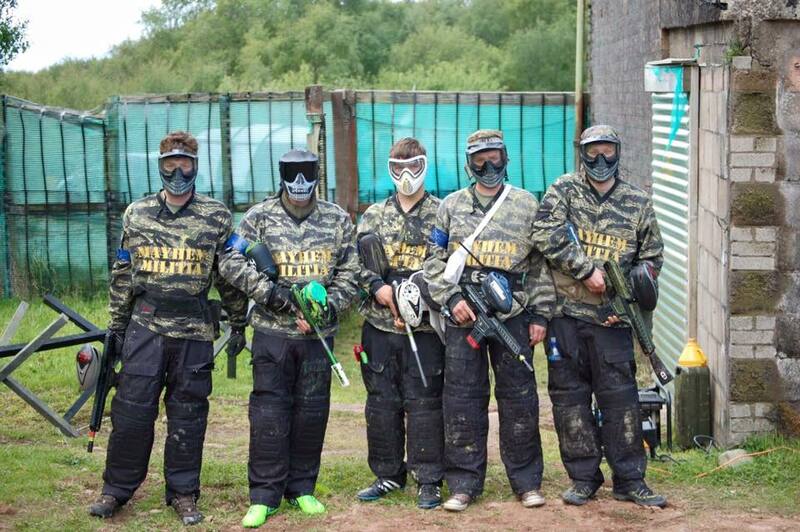 The lads who made the trip up for the Militia were Mick and George Hardy, Shaun Wilson, Brad Williams and myself. We set up camp, had some lunch and then headed up to the staging area, which was about 50m from where we were camping. We headed over to get booked in, which was really quick and easy, and I was impressed how well organised they were. We had a few beers and the jagermeister came into full flow. The Saturday morning was something of a crazed blur, not just because of the Jager, but also during the night the wind must have been mental because our tents took a battering! Our gazebo was demolished, so we set about righting the camp. Then came the games, and some were absolutely breathtaking. The rest of the games, took place over the main site which is mainly woodland and has some awesome features like WWII style bunkers/buildings, a kill house, bridges, a massive lake and strong hold fort with two storey towers. We had some great fire-fights through-out the event and by the end of the Sunday, I thought my legs would actually fall off. We didn't play the last slapstick game, but we did watch and that was a great laugh, some people really went for it, and unfortunately us not playing the slapstick game I think may have cost us the win. The score was super tight, but the Germans just pipped us to the post, so a big well done to our rival generals Willie and Thomas, although I must admit I think the scoring must be off because it felt like we hammered them every time we went out (I blame Stacey), and a big thank you to Stuart Mayo, his lads at NPF and the rest of the British team for their hard work, and especially those fought shoulder to shoulder with us at the beach landing game. Great effort lads. A fantastic event, that we will definitely be attending in 2016. A huge thank you to the crew at Prozone, especially Taz, Tracey, Stacey (except your dodgy scoring Stace!) and the marshals who were absolutely fantastic. Good stuff: Site was awesome, staff were even better, 3000 and 4500psi fills, drone was flying about filming, and a great time had by all.